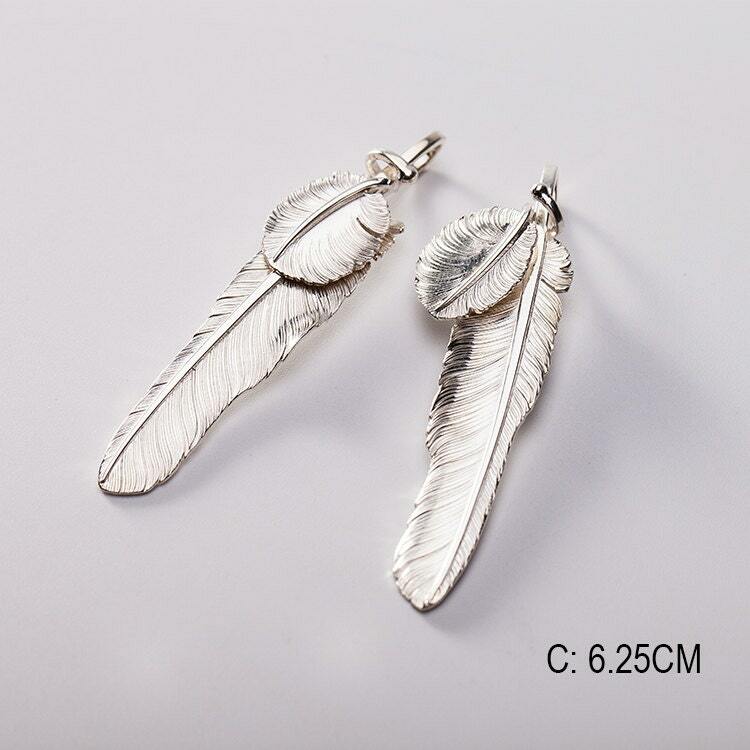 Presenting a silver feather pendant collection - the “Rising Plume” series of Native American inspired silver pendants. ‘Plume’ is another word for feather - this series is based on the feathers of an eagle. The eagle is an important part of the Native Indian traditions and folklore. Eagle feathers or plumes help the eagle in gaining height in the sky and then gliding freely. 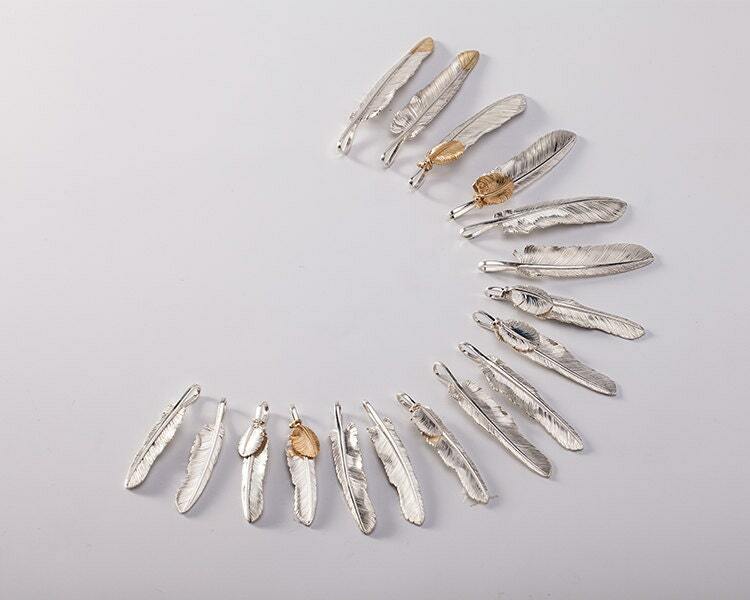 The feather pendants in this series are available in five different styles - each design based on feathers from different parts and fulfilling different tasks. Accordingly, each feather has a different shape and size. 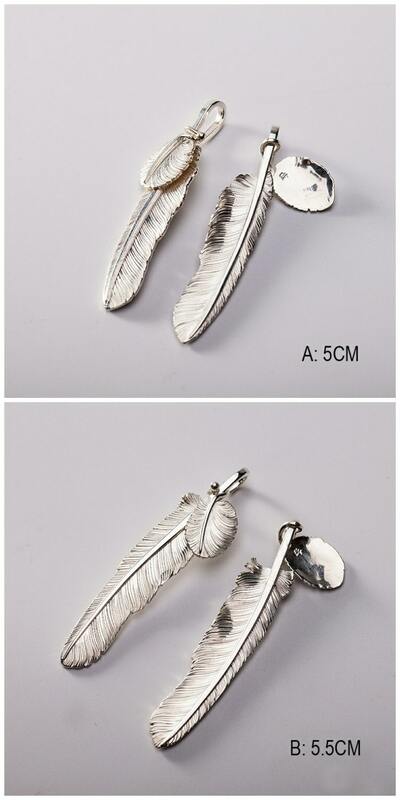 Each pendant is a double feather pendant, a combo of the main silver feather, and a smaller feather charm. 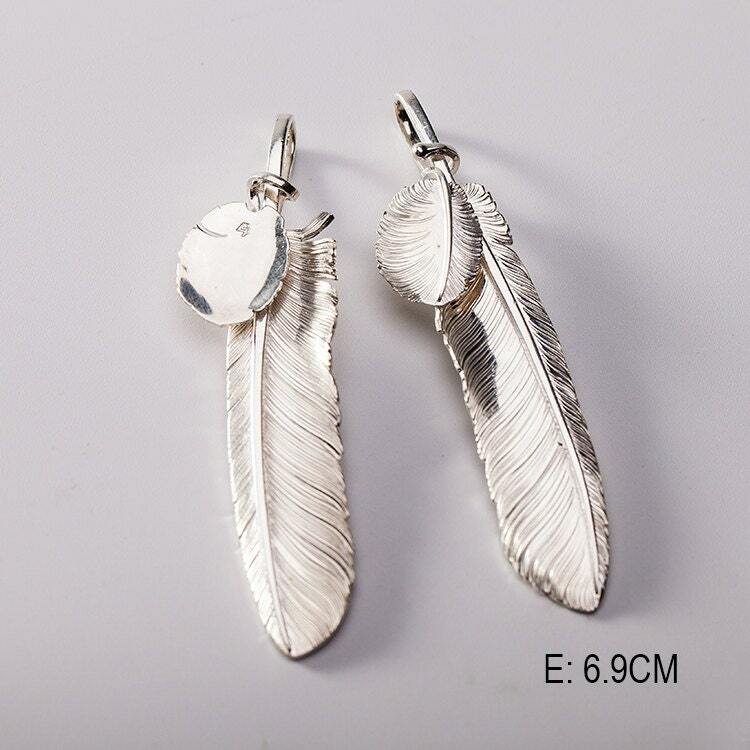 The smaller feather charm is detachable - it connects to the quill with a small silver loop. All the 5 different styles have slightly different shapes - you can refer the product image to check out each style (marked A, B, C, D, and E). Style D is our absolute favorite - with its perfect proportions, and a distinct sword-like shape. 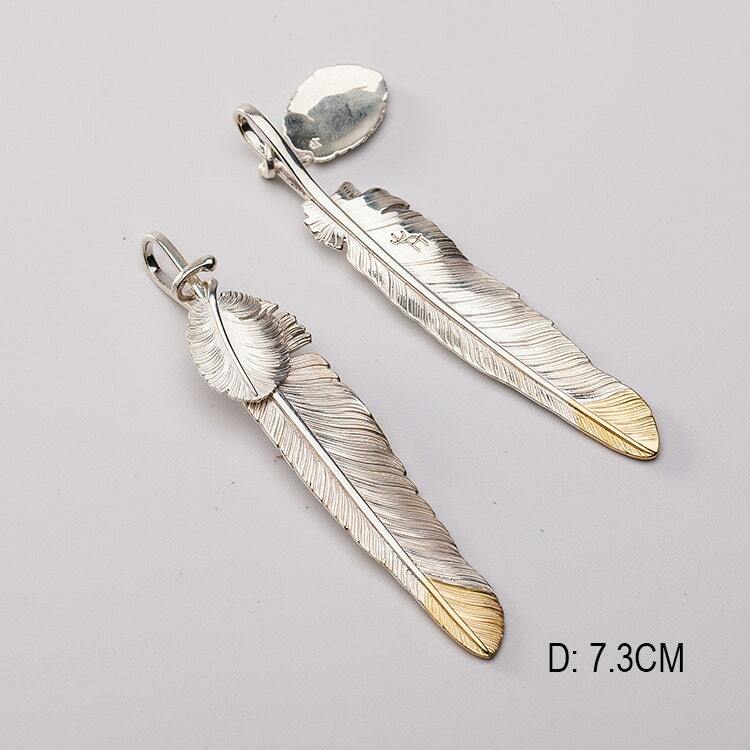 We offer this exclusive silver feather pendant with an 18K solid gold tip. Material: 925 sterling silver, 18K gold (in select styles).